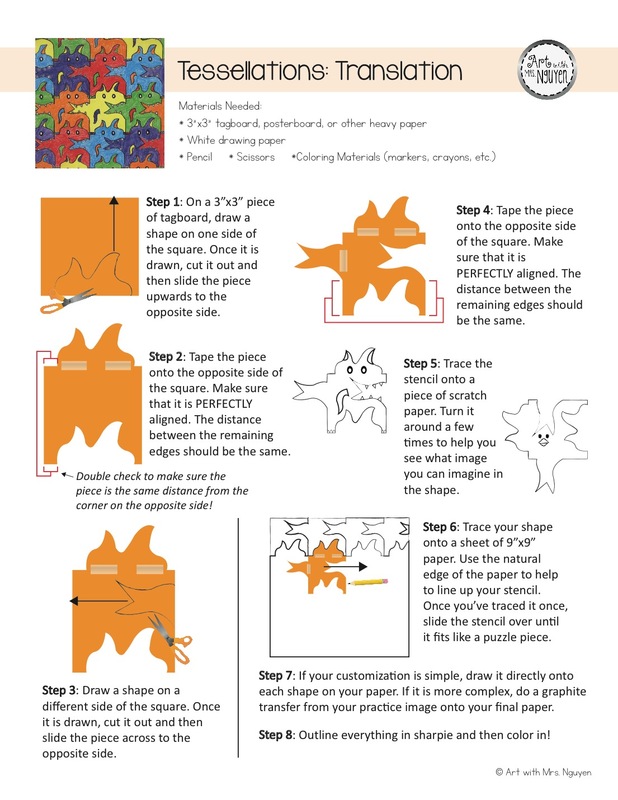 Once upon a time (in my first year of teaching), I taught a tessellation project to my 4th grade students. Just like any good fairy tale, at some point things took a turn for the worse. 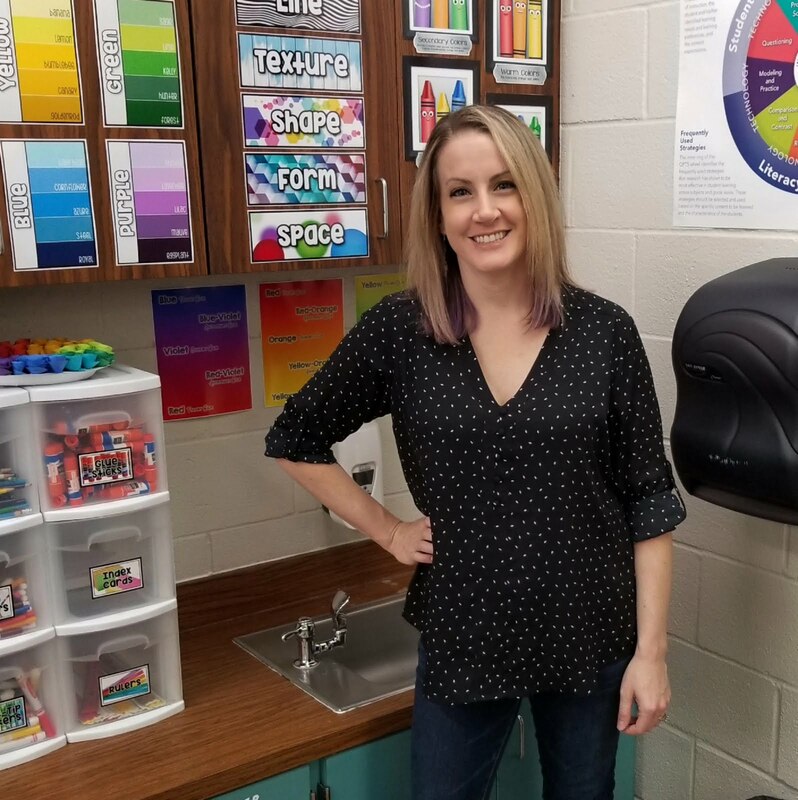 As great as some of the projects turned out, I was exhausted by the amount of hovering it required me to do as a teacher and left me yearning for a different project. But again, just like any good fairy tale, this story has a happy ending... After taking a 3 year break from tessellations, I have finally made my comeback with an awesome tessellation project for my 5th grade students. Yayyyy! 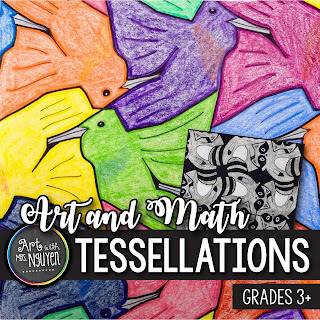 I started this project by showing my students an awesome PowerPoint that I put together that explains exactly what a tessellation is, some famous examples from history, and then differentiates between the 3 major types of tessellations: translations, rotations, and reflections. After showing them the PowerPoint, I gave each of my tables a basket that contained a few 3"x3" pieces of tagboard, a written set of directions (in case students get confused), scissors, and tape. Then I showed them step-by-step how to create a translation tessellation piece using my document camera (see the directions to the left). 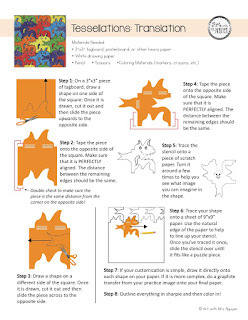 Once students finished creating their own pieces, I passed out large sheets of scrap paper and had them practice making tessellations with their piece. This was their opportunity to make sure that their piece was properly crafted and that it would work. This was also a great opportunity for me to be able to walk around and assist those that found that their piece wasn't working. Once they verified that their pattern piece would work, I asked them to turn their piece around and see if they could see something that they could make their shape into (some type of character or monster). Monsters are honestly the easiest to do because, as I explained to my students, you can take any type of blob shape and slap some eyes on it and call it a monster (just being real). :) Once my students knew what they were going to make their shape into, I gave them a sheet of 9"x9" white drawing paper to use for their final project. I advised my students to use the original edges of their tessellation piece to help them to line up their shape on their sheet of paper. 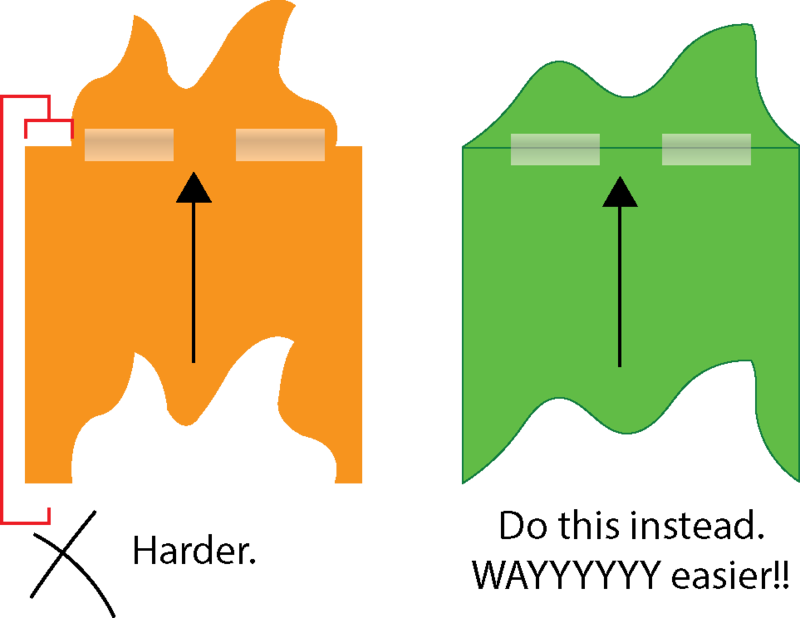 Even though this cuts off part of the piece, it really does help to make sure that everything stays properly aligned. I also explained to them that just because you can't see the whole shape, doesn't mean that they shouldn't add the additional details they were planning to add for their character - they just need to add what they can see. 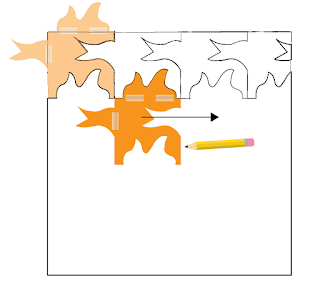 Once their pencil drawing was done (including adding details), students were asked to outline everything with a sharpie marker, and then add color with either crayons or color sticks. 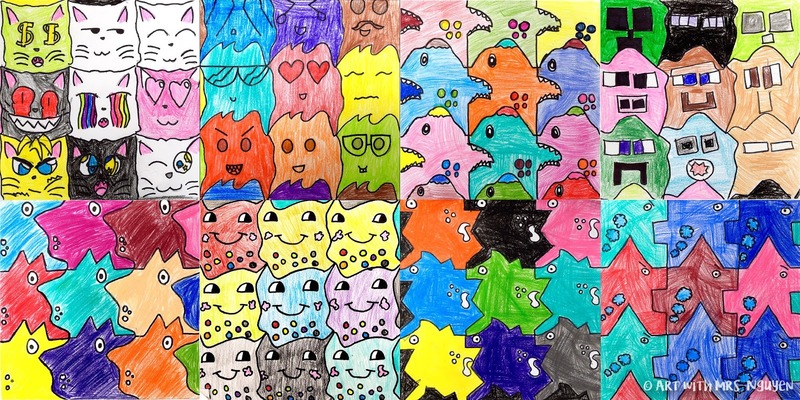 Many of my students decided to take their tessellation patterns and make each shape into its own character in a series (instead of just repeating the same thing over and over). Doing that really helped to keep more of my kids engaged in finishing their project because it made it a little more creative and a little less repetitive.